​The Wilderness Society SA has a great track record of achieving real conservation outcomes for our state. This includes over 1.8 million hectares protected under the Wilderness Protection Act and 44% of our coastal waters included in South Australia's new marine parks network. Protecting nature is what we do best. But we couldn't do it without our amazing volunteers. If you share our passion for protecting, respecting and connecting with the natural world that sustains us all, then you've come to the right place. Our SA team always welcomes new volunteers to help the cause. The two key campaigns we're currently working on are centred around protecting the Great Australian Bight (including the waters off Kangaroo Island) from deep sea oil drilling, and protecting The Painted Desert (in the central desert region) from coal mining expansion. We also work on national campaigns, such as protecting the Kimberley and Tasmanian forests. What are you waiting for? Get in contact and get involved! 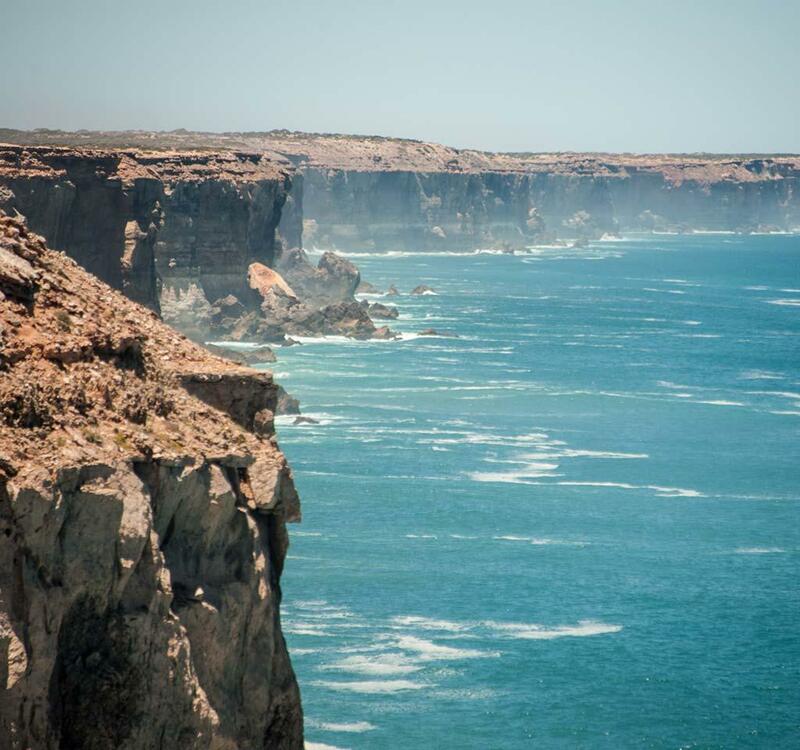 Nullarbor declared a Wilderness Protection Area—approx. 900,000ha. Secured Marine Park Sanctuary Zones—44% of SA's coastal waters included in new Marine Park Network with approx. 363,400 square hectares fully protected Sanctuary Zones. Protected Arkaroola Mountains and the Mawson Plateau from mining in the heart of the Wilderness Sanctuary. Investigator Group and the Nuyts Archipelago Island group declared wilderness protection areas—that's 17 offshore islands. Stopped Wellington Weir on the Murray River, which would have cut Ramsar-listed Lower Lakes Wetlands from the River. Yellabinna declared a Wilderness Protection Area—approx 500,000ha. In total, over 1.8 million hectares protected under the Wilderness Protection Act.